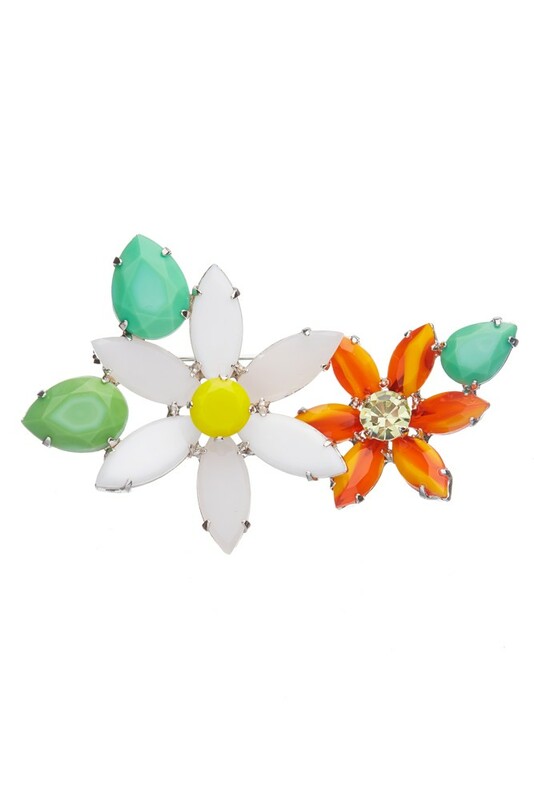 Significant brooch with floral motive. White, orange, green. Motive 8 cm. Rhodium plating.